Stena Line is reluctant* to explain its amazing reliability record between Harwich and Hook of Holland. Plus, a new motorway connection between Rouen and Le Havre opens today, and good news on the A89/A20 link at Brive-la-Gaillarde. No cancellations on Harwich-Hook of Holland route in 2014 and very few delays. Stena Hollandica, one of two ‘superferries’ serving Harwich-Hook of Holland. Photo @StenaLineUK. 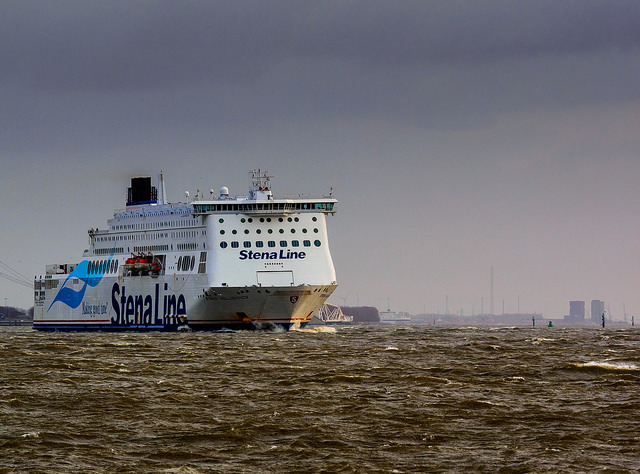 It’s not that amazing that Stena Line saw a 5.7% rise in the number of passengers on its Harwich-Hook of Holland route last year (thus beating the market average of 3.7%). The company admitted in November it benefited from the closure of the DFDS Harwich-Esbjerg route, the last ferry service between the UK and Scandinavia. What is amazing is the operator’s 100% reliability record revealed today. Despite running across the North Sea day in day out there were no cancellations on the route throughout the entire year. We can vouch for that. Our daily briefs check UK-Continent ferry services eight times each day. Even delays were very rare. Considering delays and cancellations are common on most other ferry services – to be fair North Sea and Western Channel services tend to be more reliable than the high frequency short crossings – we asked Stena for the secret of its success. Beyond this it is worth noting the two purpose-built ferries which serve the route are among the world’s longest at 240m and are both less than five years old. Stena, the largest ferry operator in Europe, also seems to specialise in rough seas. Its other routes run between the UK, Ireland and France and, particularly, around the Baltic. The Harwich-Hook service departs twice a day in each direction, one during the day and one overnight. The crossing takes seven hours. The last time we used it in September 2012 we paid €165 for a one-way day time sailing after turning up without a reservation. We cannot comment on the quality of the cabins – compulsory overnight, starting at £30 – but the public areas were very comfortable, with dark wood flooring and black leather lounging sofas. Stena Line is currently offering £50 off any flexi or premium flexi return vehicle fare between Harwich and Hook in 2015 if booked before 31 January. The motorway link between Le Havre and Rouen north of the Seine is now complete. 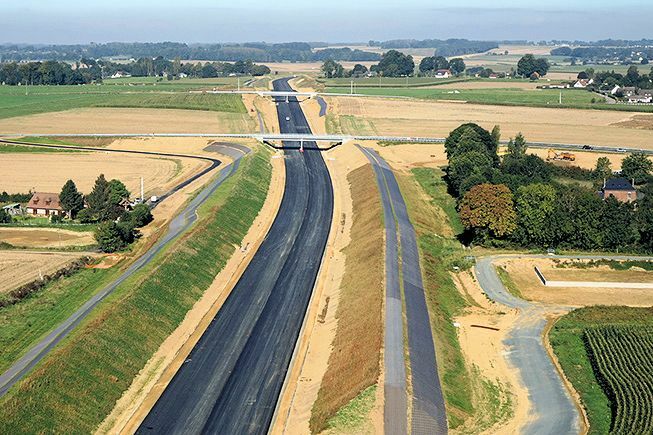 The new stretch of the A150, opening today, now runs all the way from Rouen to the A29 Le Havre-Amiens at Yvetot. It’s slightly longer than the existing 90km fast Le Havre-Rouen connection via the A131 and Tancarville Bridge but, as it avoids the bridge bottleneck, should be quicker overall. The standout feature is the 500m viaduct across the Valley of the Austreberthe, a tributary of the Seine. The 20km section costs €3.10 for cars, considered exorbitant by locals, and more than the €2.50 Tancarville toll… meanwhile, work on the connection between the A89 and A20 near Brive-la-Gaillarde in south central France should finish in April (it wasn’t expected to open until the summer). Drivers will then have seamless motorway travel between Lyon and Bordeaux.